K-Lite Mega Codec 13.4.0 Portable ~ Apps2Portable | Free Portable Apps for PC ! 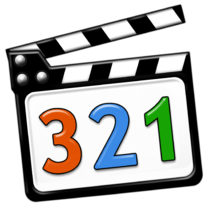 The K-Lite Codec Pack is a collection of DirectShow filters, VFW/ACM codecs, and tools. Codecs and DirectShow filters are needed for encoding and decoding audio and video formats. The K-Lite Codec Pack is designed as a user-friendly solution for playing all your audio and movie files. With the K-Lite Codec Pack you should be able to play all the popular audio and video formats and even several less common formats. * It is updated frequently. So it is always up-to-date with the newest and/or best components. * All components have been carefully selected for specific purposes. It is not just a random bunch of stuff thrown together. * It is very user-friendly and easy to use. * Works great with Windows Media Player and Windows Media Center. But also with all other DirectShow players, such as Media Player Classic, BS.Player, ZoomPlayer, and others. * The installation is fully customizable, meaning that you are able to install just those components that you really want. * The pack has many options, which allows you to tweak it to your own specific needs and preferences. * Uninstallation removes everything that was installed by the pack. Including all registry keys. All changes are properly undone. * It is extremely easy to make a fully customized unattended installation with the integrated wizard. * It does not contain any codecs or filters that are known to be bad, buggy or unstable. In fact, the installer is able to detect and disable several known troublemakers. * It tries to avoid potential conflicts with other codecs installed on your computer. The installer is able to detect and remove over 100 different codec and filter packs. * The installer is able to detect broken codecs and filters on your system, and helps you to remove them. * It is a very complete package, containing everything you need to play your movies. * The pack has options to activate thumbnail generation in Windows Explorer for several popular video file formats, which are by default not thumbnailed in Explorer. * The pack automatically configures Media Center to recognize all common audio and video file formats, so that such files show up in your media library. * This pack has a huge user base. This means that problems are found and resolved quickly. * There are different variants of the pack. From very small to large. * The pack is suitable for both novice and expert users.